Borealis and Borouge, leading providers of innovative, value-creating plastics solutions, welcome the recently published updated ASTM standard for pressure-rated polypropylene (PP) piping systems. The new standard ASTM F2389-17a is certain to accelerate the uptake in North America of PP piping systems, and in particular the material class PP-RCT, a PP random copolymer with improved temperature resistance. Borealis has leveraged its global market reach and materials expertise to actively contribute to the development of the new standard. In partnership with both its European and North American customers, it has also contributed to the realisation of the first PP-RCT projects in plumbing and industrial applications in North America. While pressure-rated PP systems are relatively new on the North American market, they have long been standardised in many other parts of the world, and have built up a solid track record over the past 30 years. 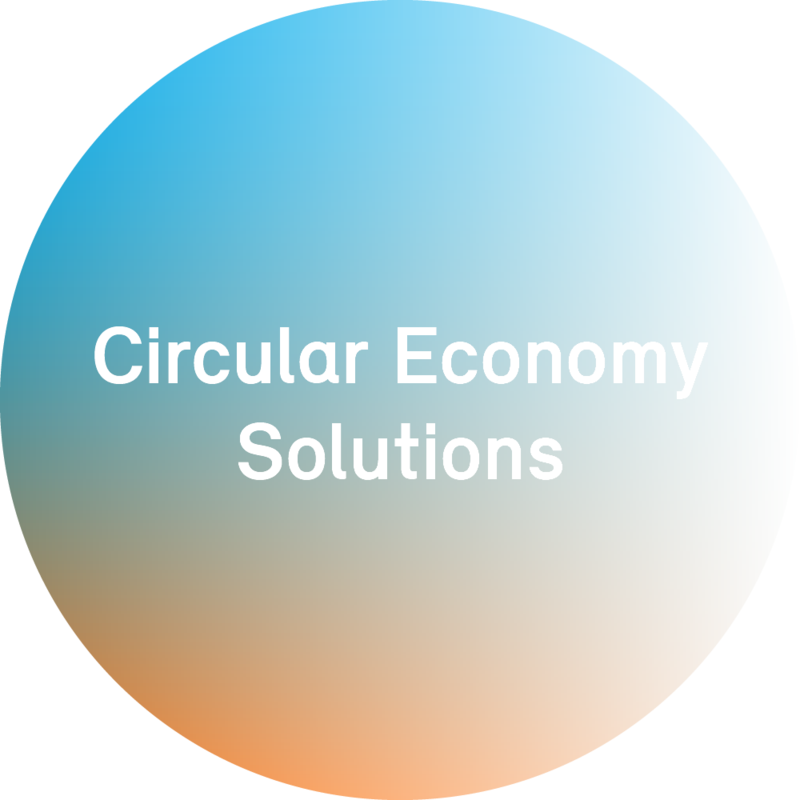 Borealis has used its strategy of Value Creation through Innovation to develop and pioneer new PP-RCT solutions for exceedingly demanding pipe applications and chlorine resistant cross-linked polyethylene (PEX) specifically for the North American Market requirements. Downgauging potential and higher hydraulic capacity than traditional PP-R.
Borealis and systems supplier ISCO Industries made PP-RCT history with the largest PP-RCT project to date in the U.S. for chilled water and condenser lines inside a newly-built mechanical room. 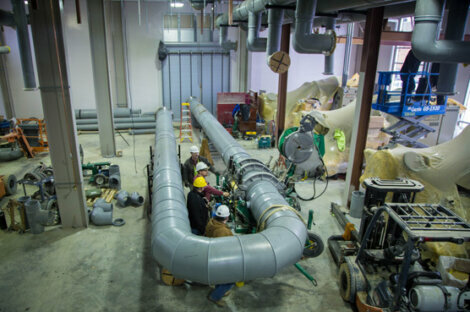 Originally designed to use steel pipes, ISCO Industries reconfigured the plan for the new chiller plant at South Dakota State University to use large-diameter PP-RCT pipes instead, including the first-ever 24-inch PP-RCT pipe. In another project in Illinois, Borealis worked with Nupi Americas to install PP-RCT in an existing elderly care facility. NIRON PP-RCT was used for hydronic installation to re-pipe an ageing system, and for a replacement cooling tower and other equipment. "The new ASTM standard opens the door for wider application of PP-RCT in North America," says Maria Ciliberti, Borealis Vice President Marketing and New Business Development. "With over 40 years of innovation experience in the pipe industry, we at Borealis put our materials expertise to work to enable life's essentials by developing the best possible piping system solutions for our customers and the value chain. With several successful projects in the U.S. already under our belt, we look forward to intensifying our North American engagement." As a trusted and experienced partner with more than 40 years of experience, Borealis supplies materials for advanced polyolefin pipe systems that help the pipe industry better serve a variety of communities worldwide. Using its proprietary Borstar® technology as a base, Borealis offers polyethylene and polypropylene materials for pipes used in many different industries: water and gas supply, waste water and sewage disposal, plumbing and heating, and oil and gas, including multi-layer steel pipe coating solutions for onshore and offshore oil and gas pipelines. By offering more durable and reliable pipe solutions, Borealis' step-change innovations continue to boost the sustainability of pipe networks by making them safer, longer lasting and more efficient, by helping eliminate wastage and loss whilst at the same time offering energy savings. Borealis has been a solution provider and one-stop shop for polyolefins in the oil and gas industry providing reliable service and quality from one end of the pipeline to the other. Water and sanitation systems can be made more efficient and reliable by using proprietary Borealis materials. Systems made of conventional materials are struggling with water losses up to 30-50%, whereas new PE pipe systems can avoid leakages. Trenchless technology reduces installation costs by up to 60%. Borealis is a leading provider of innovative solutions in the fields of polyolefins, base chemicals and fertilizers. With its Head Office in Vienna, Austria, the company currently has around 6,600 employees and operates in over 120 countries. Borealis generated EUR 7.2 billion in sales revenue and a net profit of EUR 1,107 million in 2016. The International Petroleum Investment Company (IPIC) of Abu Dhabi owns 64% of the company, with the remaining 36% belonging to Austria-based OMV, an integrated, international oil and gas company. Borealis provides services and products to customers around the world in collaboration with Borouge, a joint venture with the Abu Dhabi National Oil Company (ADNOC). Since 1962, ISCO Industries, a global customized total piping solutions provider headquartered in Louisville, Ky., has stocked and sold a wide variety of HDPE pipe and piping materials, including PP-RCT piping systems. ISCO offers custom piping fabrication to provide solutions for multiple applications such as: industrial, municipal, power, marine, nuclear, oil and gas, mining, waterworks, environmental, geothermal, HVAC, potable water, chemical transport, golf, culvert-lining and landfill. The company also rents, services and sells McElroy fusion equipment. ISCO is an employee- owned company with more than 40 locations around the world – inventorying large stockpiles of HDPE pipe and piping products, including PP-RCT piping systems. For more information on ISCO, visit www.isco-pipe.com or call 1-800-345-ISCO. For more information on PP-RCT piping systems, please contact Zak Schultz at 513-623-1924 or zak.schultz@isco-pipe.com. NUPI Industrie Italiane S.p.A. offers a full range of pipes and fittings produced using the most modern thermoplastic materials. NUPI Industrie Italiane S.p.A. replaced NUPIGECO S.p.A. that was founded in 2008 by the merger of NUPI S.p.A. and GECO System S.p.A., two companies with more than 40 years of experience in the field. The goal was to combine the expertise in the development and production of piping systems for the sanitary sector, industrial, gas, irrigation and heating, with the experience in the production of polymer pipes specifically dedicated to oil markets, chemical and petrochemical plants. Borlink and Water for the World is a trademark of the Borealis Group.